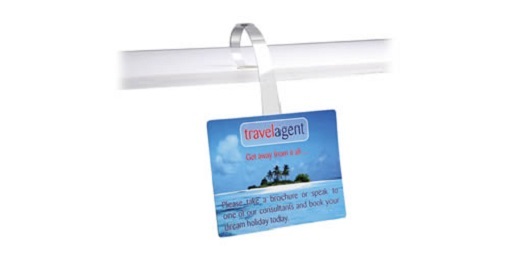 Shelf Wobblers are a great way to increase visibility of your in-store promotional information on front of shelf displays. POS Tapes offers an extensive range of Wobblers to suit your display and point of sale requirements. Available with the option of foam adhesive or tape, Wobblers come in a choice of different sizes. Our 15015R Wobbler has a removable adhesive system which is ideal for short term display promotions. For more product information or a sample, please contact our POS Sales Team.